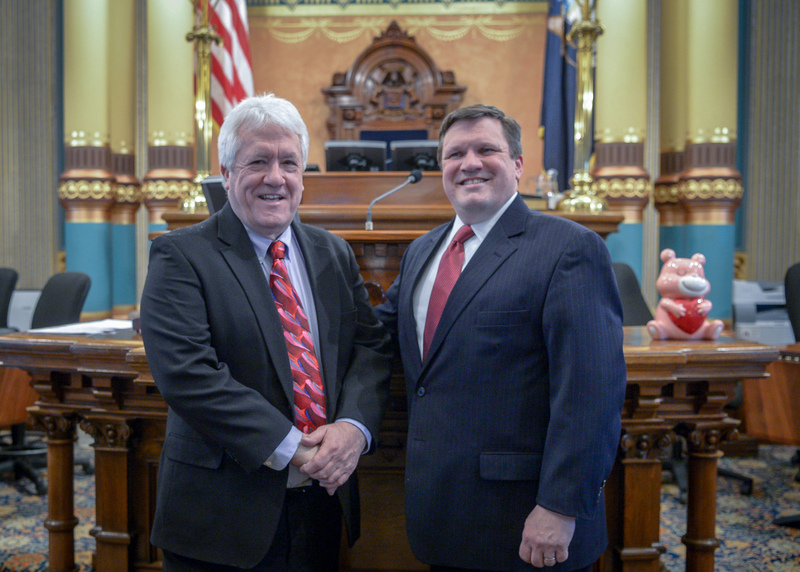 LANSING, Mich. — State Sen. Wayne Schmidt, R-Traverse City, welcomed Brad Niergarth to the Michigan Capitol for Gov. Gretchen Whitmer’s 2019 State of the State address. Niergarth (left), is a certified public accountant from Traverse City and senior partner at Dennis, Gartland and Niergarth.